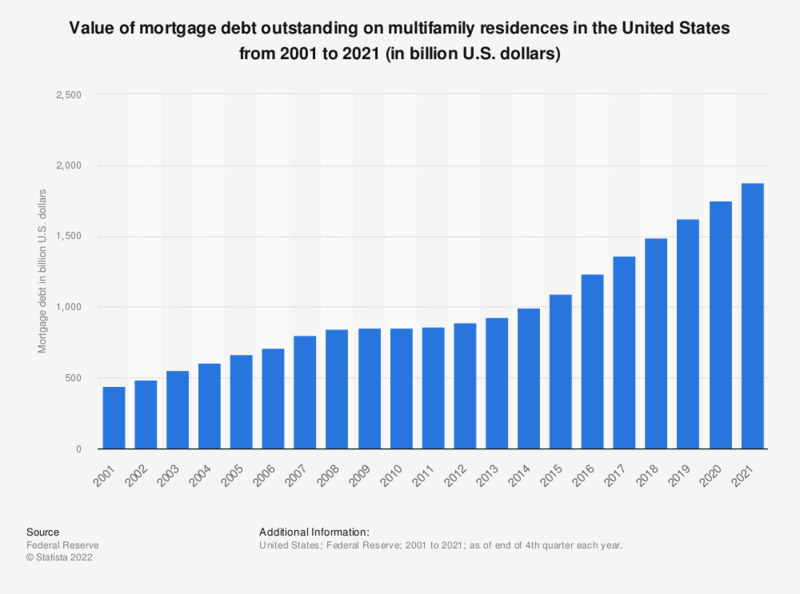 The statistic depicts the mortgage debt outstanding on multifamily residences in the United States from 2001 to 2018. It was found that the total mortgage debt outstanding on multifamily residences amounted to approximately 1.4 trillion U.S. dollars in the United States in 2018. Multifamily debt refers to loans on structures of five or more units. Apart from a mortgage, do you have personal debt?